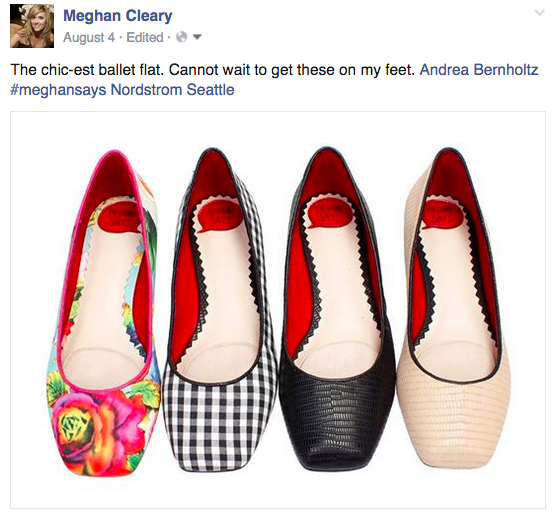 What Are Women Saying About MeghanSAYS™ Shoes? 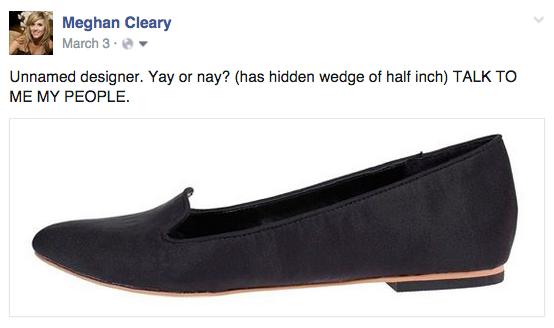 Listening to real women is what got us to make a shoe line in the first place. 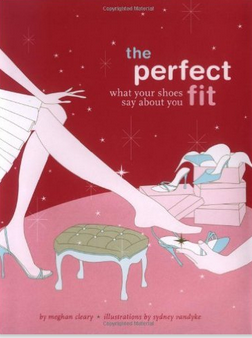 Like the fabulous Emily Weiss from Into the Gloss, who listened to what women wanted in beauty for years on her blog — before launching her own line of beyond beauty products, I’ve been hearing firsthand what actual women want when it comes to shoes ever since I launched my first book, The Perfect Fit: What Your Shoes Say About You. 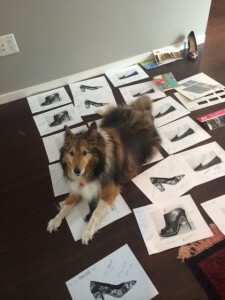 At every appearance, backstage, on-set, speaking to people at Bergdorf, Nordstrom, Saks, chatting with celebs on the red carpet and in my own show — women (and sometimes men) have poured out their shoe stories to me, their shoe desires, their wants. When I went into design mode for MeghanSAYS — I was very deliberate in creating lasts that I knew women actually wanted from my years of listening to women themselves. 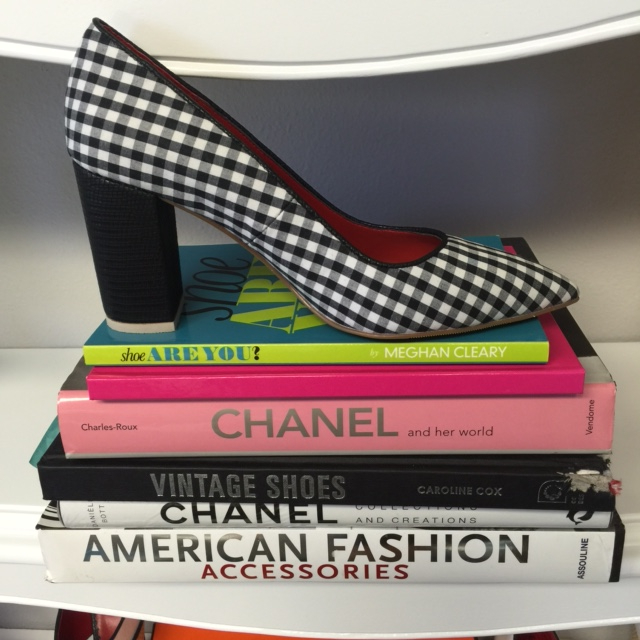 a pointy-toe pump with a chic block heel to bring it not only fashion forward – but also makes it easier to walk in. A mule with an exterior platform — slip-on for easy on and off, that casual yet sophisticated shoe you can slip on and walk out the door to a party or event. 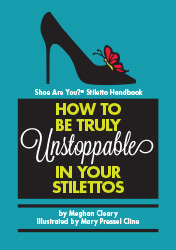 We knew that women like us are obsessed with fit — if a shoe hurts – eventually no mater how cute, we will abandon it to the back of our closet. So we look for lasts that have solid architecture – with key balance, and proportion. We insisted on six millimeters total of foam in our shoes – including a faux suede “pillow” in the ball of the foot for extra comfort (and to prevent slippage). 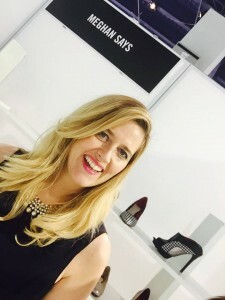 We are not — in the words of the footwear industry — a “comfort” line but we know intimately the pain points– and how balancing the twin pillars of comfort and style in shoes is a constant challenge — we all negotiate in our shoe choices everyday. 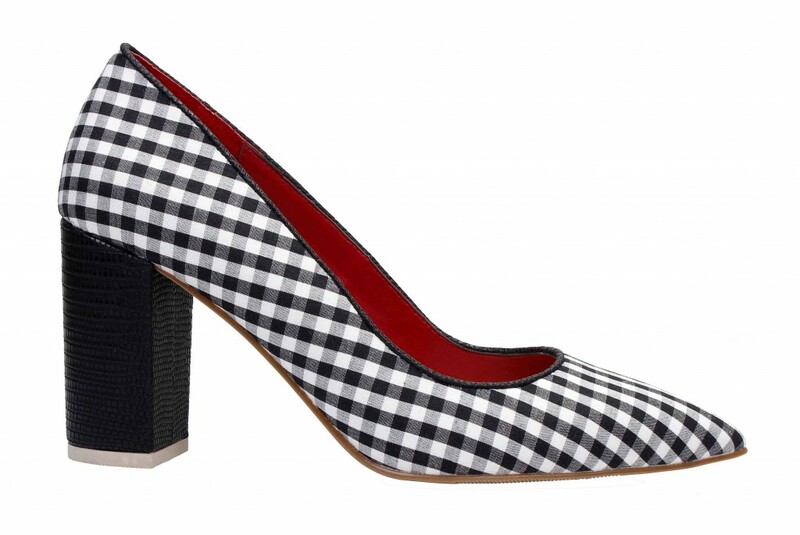 And ultimately what women really want is some FUN, and we bring the fun in our spirited prints and awesome detailing. Because, hello, we are always looking for the fun. We are the only footwear line in the industry to actually get feedback directly from our customers WHILE we are still designing — and as we grow, we’ll be rolling out ever more sophisticated ways of asking you what you want in shoe. 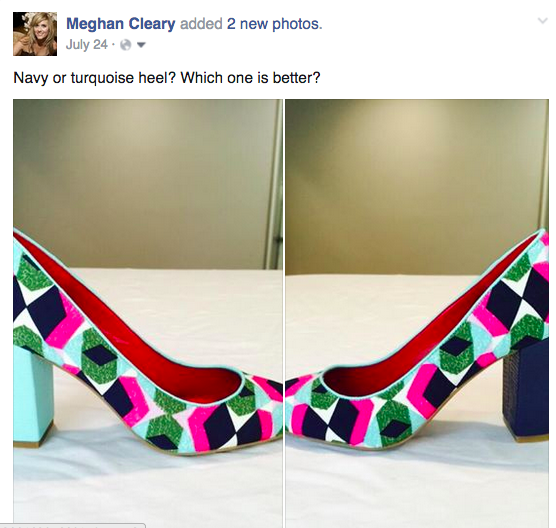 Here’s how we decided on the right color heel for our Spring II pump — 72 people weighed in! 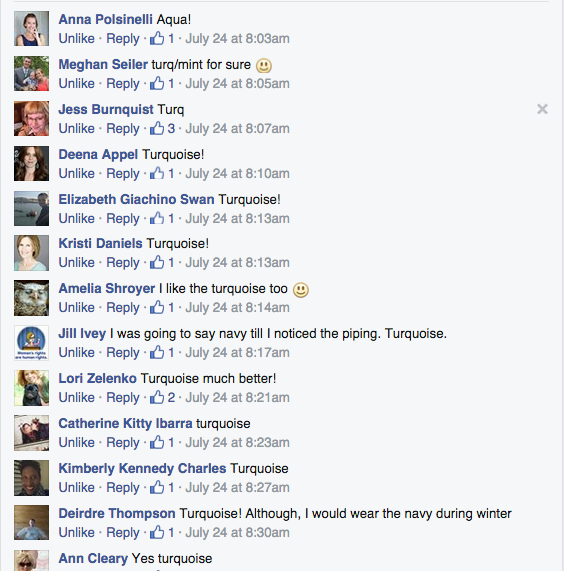 Turquoise FTW!